On April 9, the prime ministers of Malaysia and Singapore met for the ninth iteration of the Malaysia-Singapore Leaders Retreat, an annual mechanism for the two heads of state to review the state of ties. While the mechanism is just one of an array of engagements between Malaysia and Singapore, it nonetheless put the spotlight on the state of the bilateral relationship which has seen a series of challenges emerge dating back to late last year. As I have noted before in these pages, while Malaysia and Singapore, two neighboring Southeast Asian states, continue to work to develop their bilateral relationship, challenges tend to sporadically emerge. 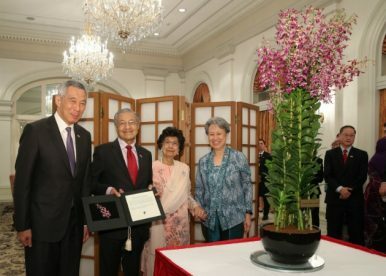 Late last year, disputes re-emerged and tensions heightened as both countries were managing domestic political changes, with Malaysia’s government under returning Prime Minister Mahathir Mohamad looking to shape its foreign policy following a shock election win in May 2018 and Singapore preparing for a gradual transition away from current Prime Minister Lee Hsien Loong. While both sides have been working to manage some of the issues since with some success – with a temporary freeze on maritime issues and an end to current tensions over airspace being just two recent examples – observers were looking to the summit meeting between Mahathir and Lee this week to assess where the relationship is and might be headed. The interaction was significant not only given the current context of ties, but also since it constitutes the first Malaysia-Singapore Leaders Retreat under the Mahathir government and the mechanism first got underway under his predecessor Najib Razak. In that context, the retreat provided an opportunity for the leaders to build on the progress made in gradually managing the challenges in bilateral ties. Both sides attempted to do that, recalling the significance of the relationship in general as well as some ongoing areas of cooperation, including trade, investment, immigration, tourism, transportation, the environment, historical and cultural links, youth and sports, information and communications, and the addressing of asset recovery tied to the 1MDB scandal that had dogged former Prime Minister Najib Razak’s administration. But the interaction also left no illusions about the fact that Malaysia-Singapore relations continue to be in a challenging place. The attention to the full range of outstanding issues to be addressed set out in the joint press conference by both leaders – including maritime disputes, airspace disputes, infrastructure projects, and water prices – is evidence of the work that remains to be done in managing ties. In some cases, the differences by both sides are quite significant, as are their approaches to resolving them whether it be in terms of reference points, pacing, and mechanisms. And from a comparative perspective, the tone and nature of this retreat itself relative to some of those during the Najib-era is quite striking. All this suggests that there is much hard work that remains to be done in managing the issues that remain in bilateral ties. Among the key signposts that will be interesting to watch will be Mahathir’s attendance at Singapore’s Bicentennial National Day Parade on August 9, which was an acceptance of an invitation by Lee. Apart from providing another opportunity for both leaders to meet in another few months as issues continue to be managed at the working level, both sides will also no doubt use the occasion to reinforce the broader aspects of ties. What’s Next for the Malaysia-Singapore Border Disputes? Both sides continue to try to manage renewed disputes within their wider bilateral relationship despite the difficulties that remain.